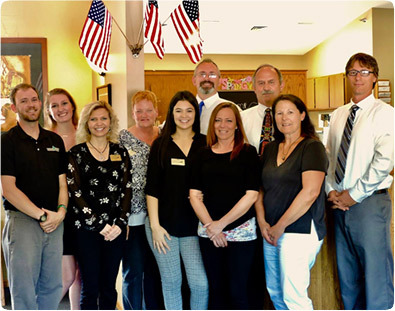 At Black Hills Health and Wellness Center, it is our goal and our mission to deliver exceptional Chiropractic care to as many people as possible and inspire our patients and community to take action with their wellness care. Black Hills Health and Wellness along with Cascade Chiropractic, use this website to help make our newest chiropractic and wellness patients feel right at home. Could a family-oriented chiropractor in Rapid City help you? How do you find a Rapid City chiropractor willing to explain everything in advance? What’s the best way to choose a chiropractor? How do I achieve and maintain real wellness? How do I build a healthy future for my children? Wellness consultations are quick and painless. They also give you great insight into the health of you and your family. Our approach to wellness is holistic; we offer options for the mind and body to work together bringing health and real wellness to your whole family. Not all chiropractors and health care practitioners are the same! Can our unique approach to natural relief and health care help you? Find out. We’ve helped many families in western South Dakota and Nebraska who went from chiropractor to chiropractor, health care provider to health care provider and finally found results in our office. We would like the opportunity to help you too. See how we can help you eliminate your pain, increase your overall health, help you lose weight and just feel great. Call Black Hills Health and Wellness Center today!